A routine commercial flight disappears over the North Pole. No wreckage. No transponder signals. Mitch Matthews is a writer struggling to make ends meet when his wife's brother offers them a first-class seat on a flight from Hong Kong to New York. When his wife needs to stay behind, it becomes an opportunity for some quality daddy-daughter time with his five-year-old Lilly. At check-in, they run into a strange Norwegian arguing with a huge Russian. A mysterious redhead is guarding a package in the business lounge. But everything is fine ... right up until the event. Within hours of Allied Airlines 695 disappearing, a massive international search is launched. Aircraft and ships are dispatched from Russia, America, Canada, and Norway. How can a modern airliner simply vanish in one of the most heavily monitored places on Earth? Global tensions rise. The media and grieving families whip into a frenzy. The armed forces of America and Russia tip the world toward the brink of an apocalyptic war. 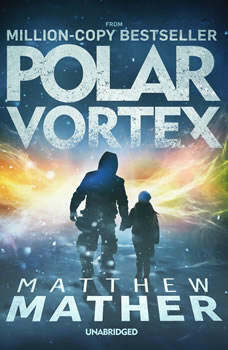 Weeks later, found on the ice in a chance discovery, the journal of Mitch Matthews reveals the incredible truth behind the disappearance of Allied 695, and what really happened in the Polar Vortex.